Billy Kelly was the first of his family to come to America. On June 6, 1911, at the age of 19 and traveling alone, he sailed from Liverpool, England, on the S.S. Carmania and arrived in New York on June 14. The ship manifest indicates that he was bound for Chicago to see his “Aunt Mrs. J. P. Kelly” and that his “Aunt,” presumably the same person, had paid for his fare over. When launched in 1905 the sister ships S.S. Carmania and S.S. Caronia were the largest liners in the British Cunard Line’s fleet. William Joseph “Billy” Kelly was born October 5, 1891, in Oldham England, the son of James Kelly (c. 1854-1933) and Margaret Matthews (c. 1858-1942). At the time Oldham was in Lancashire. It is located a few miles northeast of the great manufacturing center of Manchester and is now part of Greater Manchester. Billy’s family appears in the 1881 and 1901 English censuses in Bradford, Yorkshire, and in the 1891 and 1911 censuses in Keighley, Yorkshire. Billy’s father, James Kelly, was born in Stradbally, Queens Co., Ireland, about 1854, probably the son of Michael Kelly. His mother, Margaret Matthews, was born in Holyhead, Anglesey, Wales, about 1858. The 1920 U.S. census indicates that Margaret’s parents were born in England; the 1930 census says her father was born in Ireland and her mother in England. We know nothing more of the family until the 1881 England census when they are married and have two children Michael, 3, and Jane, 6 mos. James was a general laborer in 1881, and was a wood sawyer in 1891 and 1901. By 1911 he was working as a foundry laborer at a spinning machine manufacturer in Keighley, probably making machinery that would end up at Abbot Worsted Company, among many other places. The 1911 census indicates that Billy’s mother had 12 children and that 5 of them had died. From the census records we know that the children were Michael (c. 1878 Oldham-bef. 1891), Jane (1880 Bradford-) m. Frederick Patrick Nagle, Catherine (c. 1882 Bradford-bef. 1911), James Patrick (1885 Bradford-1968) m. Margaret Smith, Margaret (c. 1889 Keighley-bef. 1901), Billy (1891 Oldham-1984), Mary Ann (c. 1893 Bradford-) m. Philip David Lord, Elizabeth A. (c. 1896 Bradford-) m. Thomas Edward May, Thomas Joseph (1898 Bradford-1989) and John William (1901 Bradford-1992) m. Emme Brule. Two others, names unknown, died young between census years. 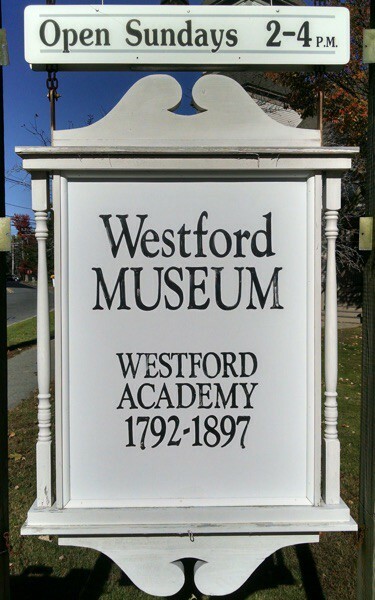 Billy must have sent favorable reports back to his family about life in Westford as on May 28, 1912, the rest of the family, except for his sister Jane and her husband and young children, sailed on the RMS Franconia from Liverpool and arrived in Boston on June 6. Traveling with them were Margaret McKniff, 49, and her daughter Catherine McKniff, 27. The final destination for all was Forge Village, Mass. The Franconia was built in 1910 specifically for the Cunard Line’s service from Liverpool to Boston and was the largest ship to enter Boston harbor at the time. Billy’s family all worked in the Abbot Worsted mills when then arrived in Westford. Billy was active with the Abbot sports teams, particularly the soccer team which he managed for several years. His father, James, died in Westford December 10, 1933, and his mother died here March 6, 1942. They are buried in St. Catherine's Cemetery. In 1914 Billy married Sarah Ann Smith, born c. 1887 in Keighley, England. She was a sister of the wife of James Patrick Kelly, Billy’s older brother. Billy and Sarah had children William Joseph Kelly, Jr., b. 1915, Mary Frances Kelly, b. 1916 and Margaret Patricia Kelly, b. 1920. Billy died December 27, 1984, and his wife died a month and a half later, on February 7, 1985, both in Westford. They are buried in St. Catherine's Cemetery.